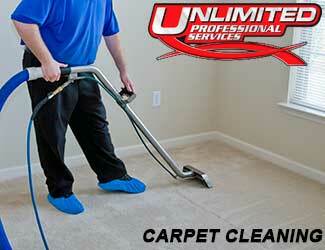 Unlimited Professional Services offers carpet cleaning services throughout the Raleigh Triangle area. Raleigh, Garner, Cary, Morrisville, Knightdale, Wake Forest and more. Unlimited Professional Services provides truck mounted cleaning systems that can get your carpets looking great and smelling fresh. Have a problem with pet odors? Our high quality products will knock out pet odors and get your house smelling like you expect it to. 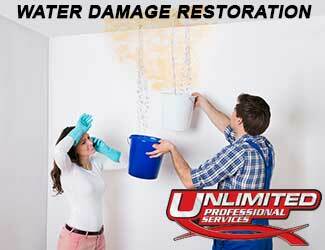 Also, if you’ve got any issues with water damage in your home, we can help you work to remove that! Carpet cleaning encompasses a variety of services, anything from smells to water damage! We are your go to for any of your carpet needs, find out what we can do for you today! Commercial & Residential service is just a phone call away! Broken pipes, washing machine overflow, backed up bathroom pipes – just a LITTLE water on floors can spread quickly – getting into cracks, crevices, sucked into baseboards and drywall – and can add up to a BIG problem fast. By the time you recognize water damage on the outside, it’s likely already caused havoc down where you can’t see. Water damage generally ultimately leads to removal of the affected areas if they can’t be caught in time and dried. Don’t risk exposing your home or family to dangerous things that can come as a result of untreated water damage like mold/mildew, take care of it today! We can get your home or business drying out quickly! Residential and commercial services. Professional pressure washing does wonders for driveways, parking lots, buildings, sidewalks – even outdoor furniture. With our truck mounted powerwashing equipment, we can bring new life back to fences, decks and so much more – learn more at Pressure Washing Raleigh NC . Pressure washing is one of if not the most effective way to clean hard surfaces around your home. 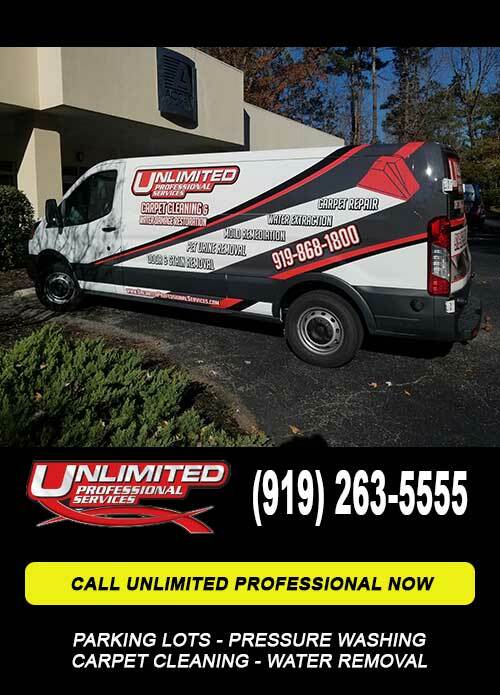 The pro’s at Unlimited Professional Services are trained and very experienced in the use of pressure washing equipment, let them come give your home the face lift it deserves! Is your deck looking gray and drab? A professional Raleigh deck pressure washing is just what the doctor ordered! Our professional pressurewashing equipment has enough power to clean even the worst of deck or patio surfaces around your Raleigh home or business. We are also aware that some decks are more susceptible to damage than others, and we act accordingly with every different deck we work on, using lower pressures or different nozzles when needed. Call us today so that you can start enjoying your wood deck again! Wood or vinyl fence getting mold or just gray? Let us give it some quality Raleigh fence pressure washing love with our high quality pressure cleaning equipment. We can make your wood or vinyl fences look like new fast. Replacing your fence just because it’s looking lack luster is a great way to waste money, let a pro come and refresh the look of your fence for way cheaper! We service the entire Raleigh Triangle area so call today! Is your patio looking a little dingy these days? So many times, patios and other outdoor areas just get dirty and we don’t even realize it because we don’t often spend enough time out there to notice. High pressure Raleigh patio power washing is only a phone call away for your discolored or dirty brick or cement! Pressure washing is the most effective and efficient way to clean your outdoor hardscape. Call Unlimited Professional Services for professional power washing of your exterior surfaces, such as your store exterior, sidewalk, patio, swimming pool deck and more. The elements in North Carolina are nothing but harmful to exposed surfaces. Call us to remove dirt, grime, mold, mildew, soot, automotive exhaust and more from your exterior surfaces. We are a full service parking lot repair and striping company serving the Triangle area of North Carolina, including Raleigh, Durham, Chapel Hill, Wilson, Fayetteville, Rocky Mount and surrounding areas. Unlimited Professional Services provides pavement marking and striping services to give your property a spectacular first impression that will impress your customers while providing safe and compliant parking areas for motorists and pedestrians. With fresh, new line stripes your parking lot can be brought back to look like new. Only trust your Raleigh parking lot line striping with professionals at Unlimited Professional Services so that the line stripes on your lot are straighter and last longer. Parking lot striping may look easy, but it requires a lot of planning and careful work to get it done well. Protect your parking lot from the elements with a professionally applied sealcoat. Parking lots in North Carolina take a beating throughout the year with intensely hot summers and frigid winters. Seal coating Raleigh parking lots keeps them looking their best. Seal coating is the best way to extend the life of your parking lot without completely re-doing it, it can be a very valuable choice to make! Extend the life of your parking lot with professional Raleigh concrete & asphalt repairs. Unlimited Professional Services fixes potholes and cracks in parking lots and curbs professionally so that your parking lot stays looking it best for your customers. Something as simple as a pot hole can not only damage vehicles, but it can turn away customers as they get the impression that you don’t really care about maintaining your business. Whatever your parking lot needs in the way of signage, we can order and install them to suit your every need and adequately direct motorists and pedestrians. We carefully plan our sign placements so they can be as effective as possible. We ensure your parking lot is in full compliance with all applicable ADA regulations and have all necessary signs and stencils.